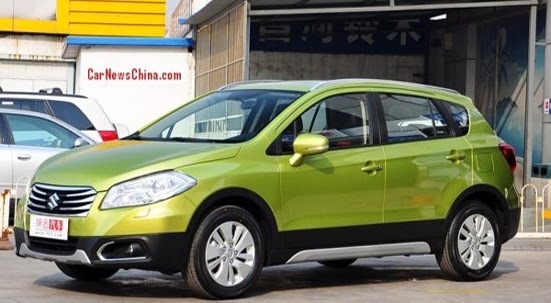 Suzuki car manufacturers adds to ammunition in the Chinese market by presenting the Suzuki S-Cross. This new model is prepared to accompany three other models that are of interest in the Chinese market as the Suzuki Alto, Swift and SX4. Suzuki S-Cross produced the factory Suzuki in China which is part of a joint venture between Chang'an-Suzuki. In China, this model is offered at a price of 154,800 yuan. As a newcomer, Suzuki S-Cross will be challenging competitors were quite successful in its class the Nissan Qashqai. S-Cross has a long dimension 4.300 mm, width 1.765 mm, and height 1.585 mm with a wheelbase of 2.600 mm. This model is reinforced machine four-cylinder 1.6 liter. Engine-powered 120 hp with peak torque of 158 Nm is mated by a six-speed manual transmission or CVT (automatic). Outside the S-Cross design look so sweet and dynamic. It can be seen starting from the front to the stern. On the side of the cabin space is also seen modern with the placement of the instrument cluster that is so the unsightly. Suzuki S-Cross has adopted a double DIN headunit with the features that are fairly complete. In addition to the steering wheel there are audio controls.